Use these gleaming hexagonal black flakes as either a striking decorative effect or a distinctive texture on paintings and indoor sculptures. Precision cut from coated polyester film, Black Flake Hex is best used as a final finish to preserve its sparkle and can also be sprinkled onto a freshly painted surface. 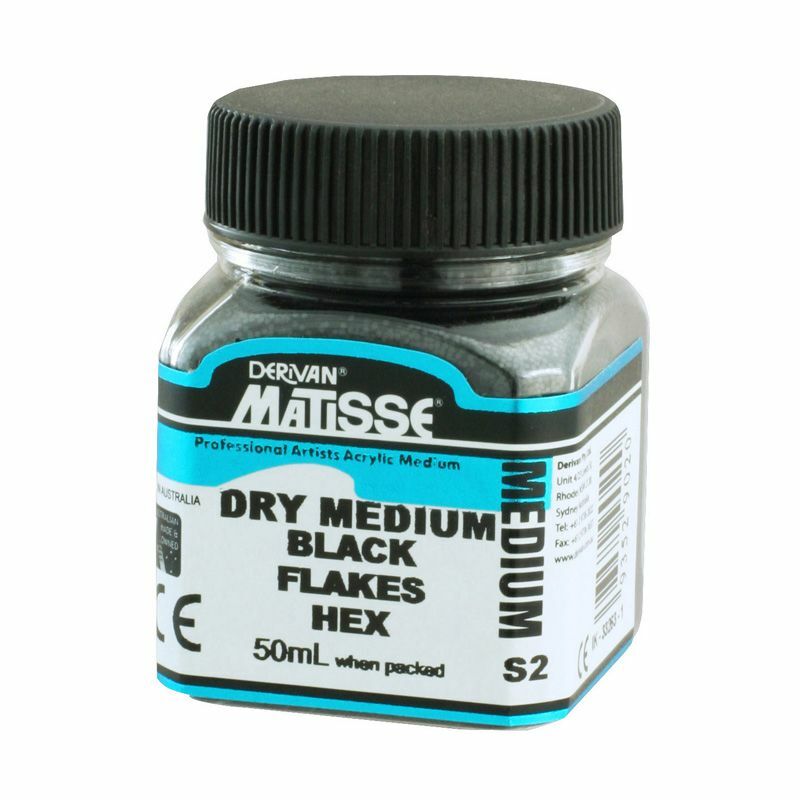 To maintain the shiny surface of the black flakes, mix with eitherMatisse Gel Medium or Matisse Gloss Varnish and Gloss Medium, as these mediums have a gloss finish.